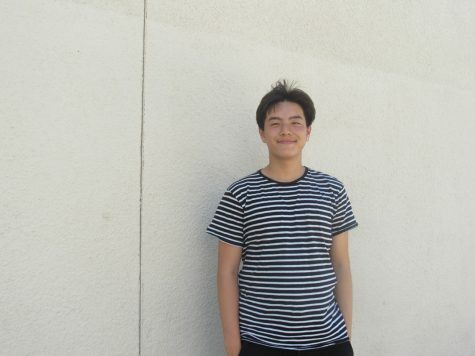 Justin Nguyen is currently a junior enrolled at Herbert Hoover High School located in San Diego, California. He is Vietnamese mixed with a little bit of Chinese. Justin’s hobbies are playing volleyball, lion dancing, and gaming. Justin’s personality is a bit interesting. There are times where he is very funny and times where he can be very serious. Overall, he is a pretty chill guy. Justin is into any movies genre that involves romance, horror or comedy. He plans to stay at Hoover for his remaining years because he is in a program called CAC which guarantees him admission to SDSU if he meets all the requirements. One of the requirements is being a Hoover student for four years. Therefore, Justin is planning to graduate at Hoover in all white. Justin is a very outstanding student with a friendly personality that loves to push himself by taking all AP/HP classes besides electives.